Jennifer Lawrence is terrified in Mother! You are here: Home » Can you keep up with the Joneses? What do you do when a new couple moves in next door? You, of course, start to spy on them. What could go wrong? Well, quite a lot actually as the trailer shows us. 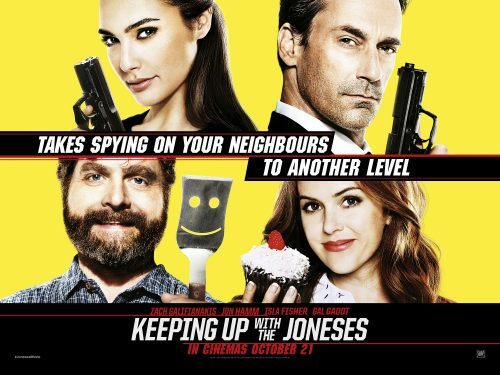 An ordinary suburban couple finds it’s not easy keeping up with the Joneses – their impossibly gorgeous and ultra-sophisticated new neighbours – especially when they discover that Mr. and Mrs. “Jones” are covert operatives.